During a recent earnings call between Ubisoft and investors, the publisher noted that plans are in place to launch three to four AAA games during the 2019-2020 fiscal year. For reference, this includes the time between April 2019 and March 2020. As far as what these titles are, Ubisoft was not willing to divulge any hints. Assassin’s Creed doesn’t warrant mention as a possibility, since the publisher previously said 2019 will give the franchise a break in terms of a new entry. Skull & Bones probably shouldn’t be counted, either. Its 2019 launch is a known factor. Plus, Ubisoft’s refusal to name them suggests the three to four AAA games have not yet been revealed. 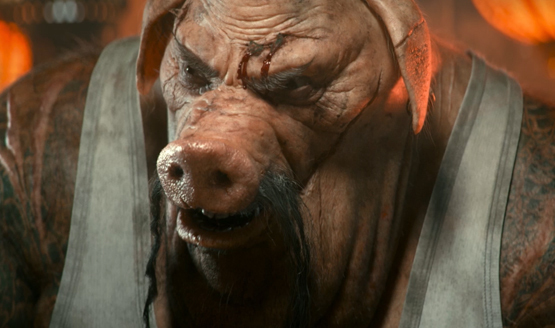 Though it has been announced, Beyond Good and Evil 2 may serve as one possibility. If so, Ubisoft’s not wanting to name the three to four could be a desire to keep Beyond Good and Evil 2’s release date under wraps. Of course, there are a ton of other surprises the publisher could have up its sleeve. For one, rumors of a new Splinter Cell continuously crop up every so often. The same is also true of a potential Watch Dogs 3. With Rainbow Six and Ghost Recon live-service titles performing so well for the company, new iterations for both are likely on the cards, as well. Indeed, there does exist another likelihood. One or more of the mysterious three to four AAA games may be an entirely new IP. Regardless, concrete information is bound to surface soon enough. Since Ubisoft often makes surprise announcements at E3, perhaps said details will emerge sooner rather than later.